Today She Who Must Be Obeyed and I went on a minor grocery shopping trip. She said that, when we returned home, she would get some work done around the place… like cleaning out her car. Exposure to the glorious fall day, however, changed Her mind. 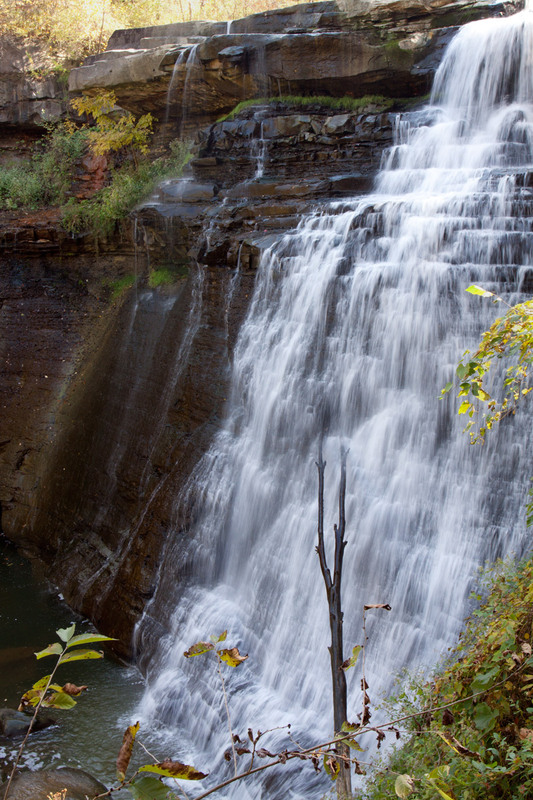 She suggested a hike in the Brandywine Falls park, near Peninsula, Ohio. 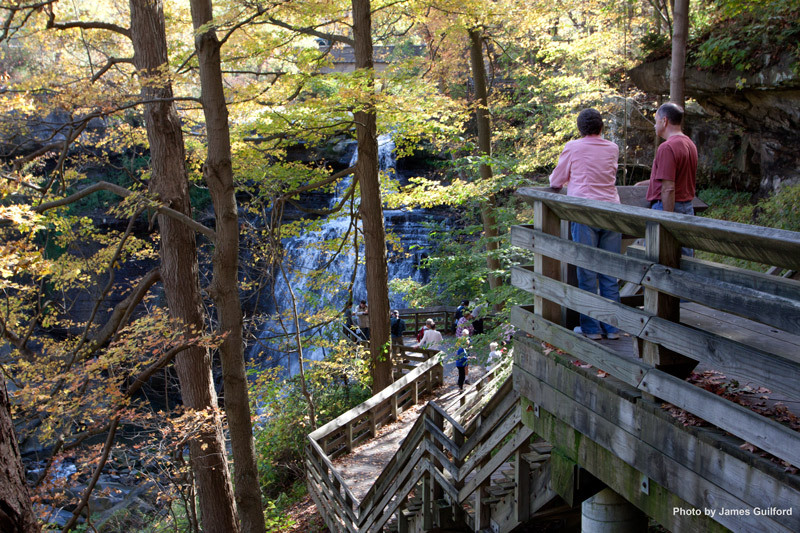 A winding wooden walkway leads down to a lovely view of Brandywine Falls. Brandywine is a beautiful place where a natural waterfall flows over a stone bed, carving and smoothing the rock. A deep gorge extends downstream of the falls, shallow and safe for hiking, surrounded by woodland. In the morning shadows, the falls move among autumn colors. We spent a good long time in the woodland downstream of the falls, hiking the hilly earthen trails, and stopping frequently to take photos. There’s a lot to see if you slow down and look around. 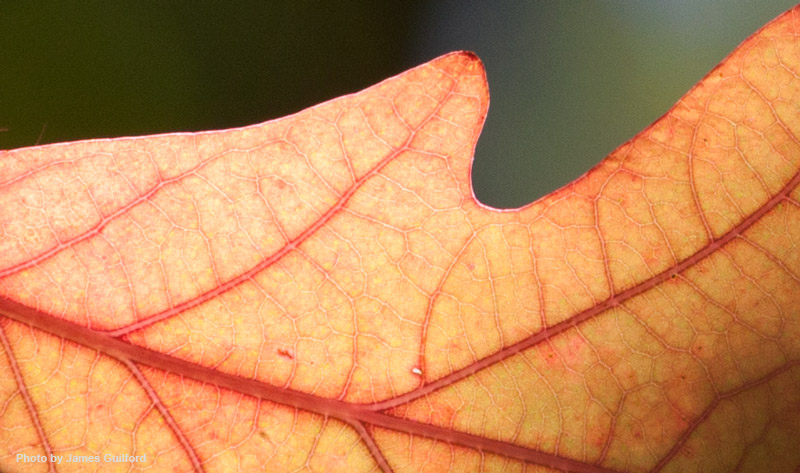 A portion of a colorful leaf cropped from a much larger image at 100 percent. Yes, She was seduced as I had been a day earlier. Her noble and ambitious plans were put aside for enjoyment of the day. Nothing done, again. Ha-ha! *Ferris Bueller, Ferris Bueller’s Day Off, 1986. A bad day out in nature will always be better than your best day of cleaning. Love the quote. I would prefer a walk nice walk to cleaning any day.